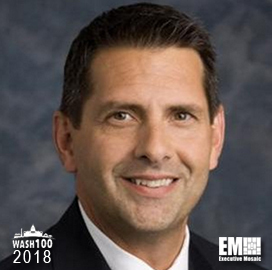 Executive Mosaic is honored to announce Nick Michaelides, vice president of Cisco’s U.S. federal sales organization, as an inductee into the 2018 edition of the Wash100 — Executive Mosaic’s annual selection of the most influential voices in the government contracting arena–for his efforts in digital transformation leadership within the federal government. With more than 30 years of experience in the federal and technology industries, Michaelides heads Cisco’s business operations that support the U.S. federal government, with a clientele extending past the reaches of the DoD, to civilian agencies and the intelligence community at-large. That said, civilian agencies could learn a thing or two from the military’s cyber culture. It comes as no surprise that the rise of IoT has obfuscated the field of cybersecurity. Executives like Michaelides are working to confront and address the ever-increasing exponential tracjectory of the number of inter-connected devices over the better part of the past decade. He recently co-authored an article for NextGov titled “The Urgent Case for IoT Security Training for Civilian Agencies,” citing data from a 2017 survey conducted by Gartner that an estimated 8.4 billion connected devices are in use and that that number will grow to 20.8 billion by 2020. Knowing the number of IoT devices is only going to grow, a bipartisan team of U.S. senators are introducing a bill called the Internet of Things Cybersecurity Improvement Act that will is supposed to reset the standards for IoT security in the government. Inconjunct, a recent MeriTalk study found that about 60 percent of federal agencies have converged infrastructure systems as part of their organizations’ data center strategies. “Technology is advancing at an unprecedented pace and agencies are challenged to find innovative ways to leverage technology to support their missions, improve efficiency and provide top quality citizen services,” said Michaelides in a comment. “Federal IT teams looking for a simple, yet fast solution to realize data center consolidation goals should absolutely consider a converged infrastructure solution,” he added. The shift to modern network infrastructure, according to an article Michaelides wrote for the Federal Times back in 2016, will be the foundation of the government’s transformation into an enterprise that can take advantage of digital opportunities. Michaelides has held a number of executive leadership roles with Cisco since signing on in 2008, including stints under the titles of Senior Director of Federal Defense Operations, and Senior Director of the Intelligence Community Organization. Before his tenure at Cisco, he served as regional executive of Sun Microsystems‘ advanced programs region, and before that was a system engineer executive at NBI. He led Cisco’s Transformational Leadership Initiative and successfully completed Cisco’s Momentum Leadership Program that fosters the next-generation of executives to work for the company. Executive Mosaic congratulates Nick Michaelides and the Cisco team for their selection to receive this award. This year represents our fifth annual Wash100 award selection. The Wash100 is the premier group of private and public sector leaders selected by Executive Mosaic’s organizational and editorial leadership as the most influential leaders in the GovCon sector. These leaders demonstrate skills in leadership, innovation, achievement, and vision.